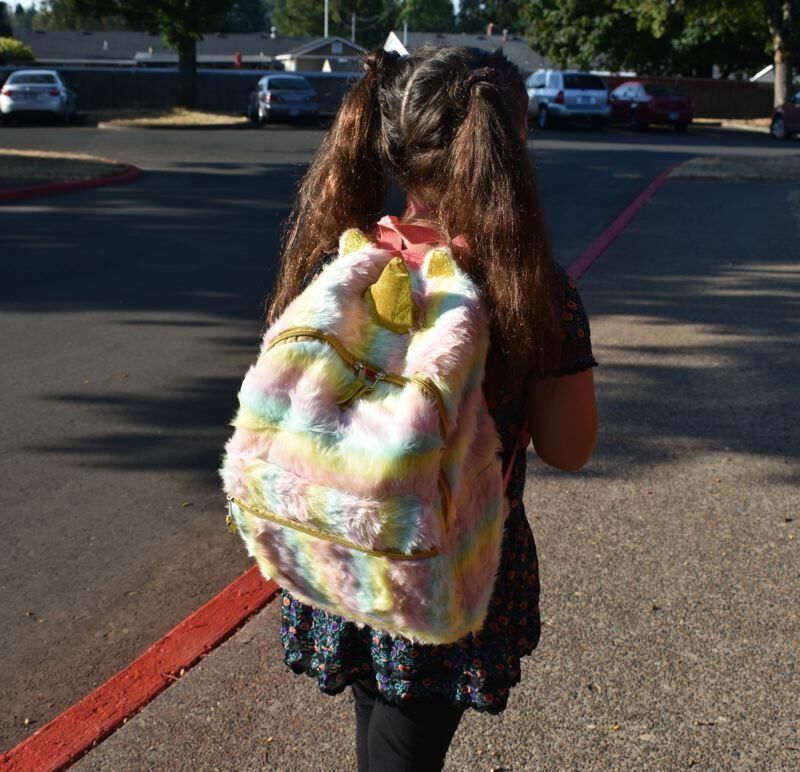 Dexter McCarty Middle School will join students across the country and East Multnomah County in walking to school on Wednesday, Oct. 10, as part of National Walk to School Day. "Not only is it a fun experience to have with friends and classmates, it promotes the use of sidewalks in a safe manner and encourages healthy lifestyles," said Jeremiah Hickman, a teacher at Dexter McCarty Middle School. Walk to School is a program of Safe Routes to School, a national group that encourages students to get some exercise and reduce pollution by walking, biking or using other human power to get to school. "We can make getting to school active, fun and safe for kids," the group said. The program emphasizes learning ways to make the walk or ride safer such as always using crosswalks and urges governments to provide adequate walkways and bike lanes separate from cars and trucks. Safe Routes organizes a National Bike to School Day in May and the Walk to School every October. Students at Butler Creek Elementary School, Centennial High School, East Gresham Elementary School, Gordon Russell Middle School, North Gresham Elementary School, Pleasant Valley Elementary School and Sweetbrier Elementary School are also registered with the national group to organize students to walk to school on Oct. 10. The Dexter McCarty kids will gather at the Gresham Arts Plaza at 9 a.m. and stride or pedal to their school at 1400 S.E. Fifth St.